A new false lashes effect, lashes that flutter like the wings of a butterfly. The special formula with cocoon fibers brings a spectacular lightweight volume. 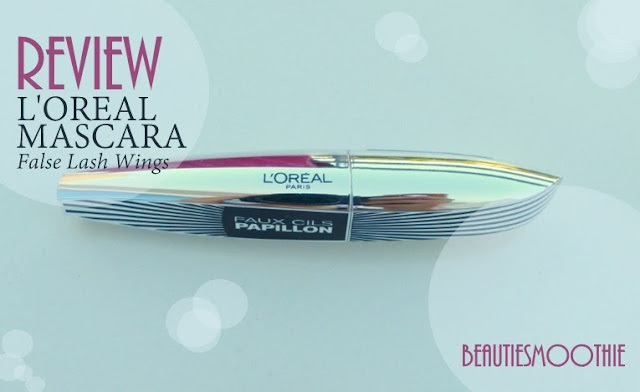 That's what the L'oréal False Lash Wings/ Flutter Mascara description says. Sounds great right? I tested this product and am ready to give you my honest opinion! 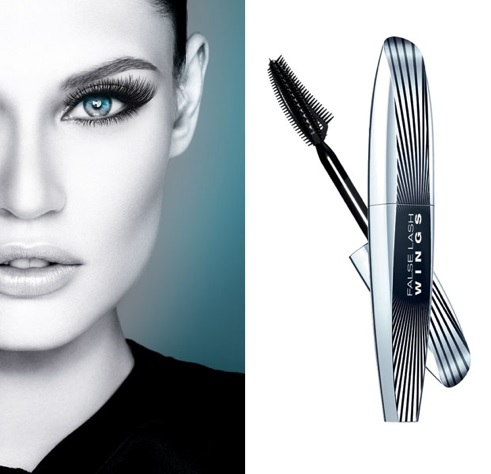 A unique, asymmetrical brush that lifts the lashes in the corners of your eyes. L'oréal promises to make your lashes twice as visible with this mascara. And now the pictures! Without any mascara (left column) and with the L'oréal False Lash Wings Mascara (right column). The brush has different sides, you can use it in different ways. The shorter side is perfect for your bottom lashes while the longer, winged side is great for your top lashes. It doesn't separate the lashes, I have to use another mascara brush to get the individual lashes effect. As you use the mascara longer, and it gets older, there will be more clumps on your brush. However, I find this happening with a lot of mascaras. Would I buy the L'oréal False Lash Wings Mascara again? Yes I would, I think it works very good for my short lashes as I get more volume and depth to my lashes. I do use another mascara (for example Telescopic from L'oréal) after to separate my lashes more. I have read some negative reviews of this mascara, saying that it causes redness and irritation to the eyes. 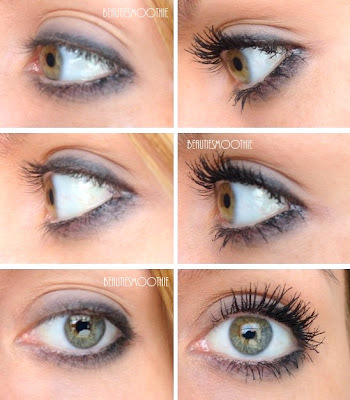 This however isn't the case with me, I would recommend this mascara to my friends and readers! What do you mean by wings out? That the outer lashes appear longer, this is thanks to the shape of the brush. Hi, what did you use as make up on your eyes?